Hip Hop star HHP and former Big Brother Africa contestant Lerato Sengati have reportedly secretly tied-the-knot. Mzansi Guardian is reporting that the lovebirds got married in a traditional ceremony that was apparently only attended by close family members and friends. It's also believed that guests who were invited to the ceremony were apparently asked not to post anything about the big day on any social media platforms. 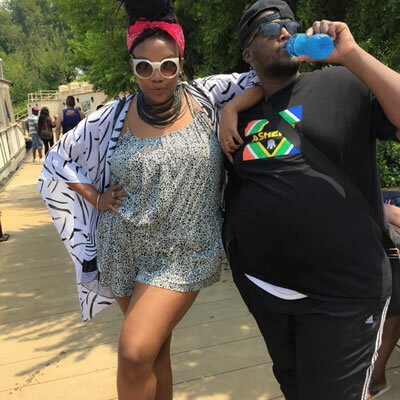 Both HHP and Lerato are incredibly private when it comes to their romance, which has been on-and-off for a few years now. "They've been on and off, but this time they took it to another level. I'm happy for them! They just need to come out. They're posting together on social media, but don't want to announce their white wedding plans," a source told Mzansi Guardian. Both Lerato and HHP have been unavailable for comment.